This week, our Year 6 classes have enjoyed walking into Yateley High Street as part of their geography topic, ‘The Local Area’. During their visit, the children investigated the facilities Yateley has to offer and the purpose of these for the general public. The children used their knowledge of map symbols to design and create their own keys for these features. Following on from this, the children took on the role of cartographers and drew an accurate map of the buildings and key areas of the High Street: The Dog & Partridge, Discoveries, St Peters Church and the War Memorial. 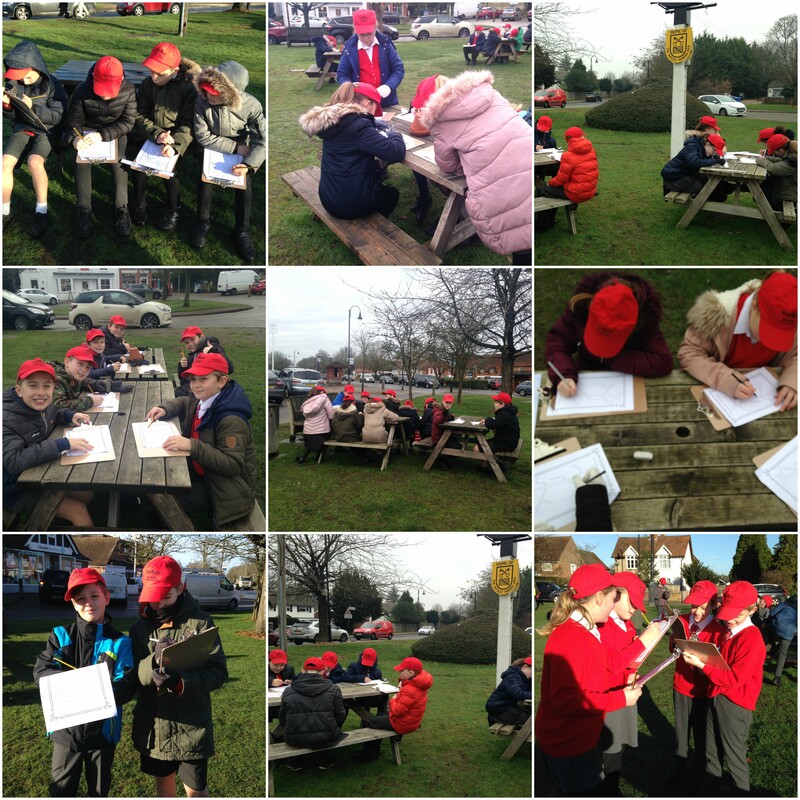 The children all had a wonderful time in the local area and relished the opportunity to put their geographical skills into practise during their field study.